I hope everyone had a great weekend! Last week was the whole full week of school and I am happy to report that it went by more smoothly than I would have thought. 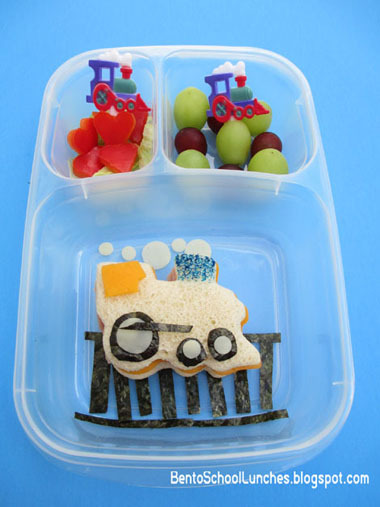 Here is a train bento to start off this week. Wow, this is a beautiful train bento! I love all the details! Gorgeous lunch, I especially love the train and train track. Thanks for linking up!